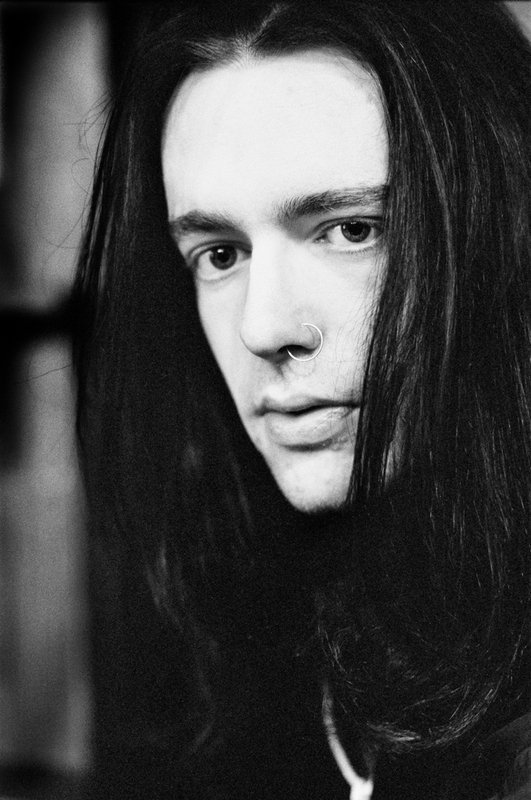 Harry Barber's memories of Music Machine are more detailed than Ozzy's account on page 49 of the autobiography I Am Ozzy. 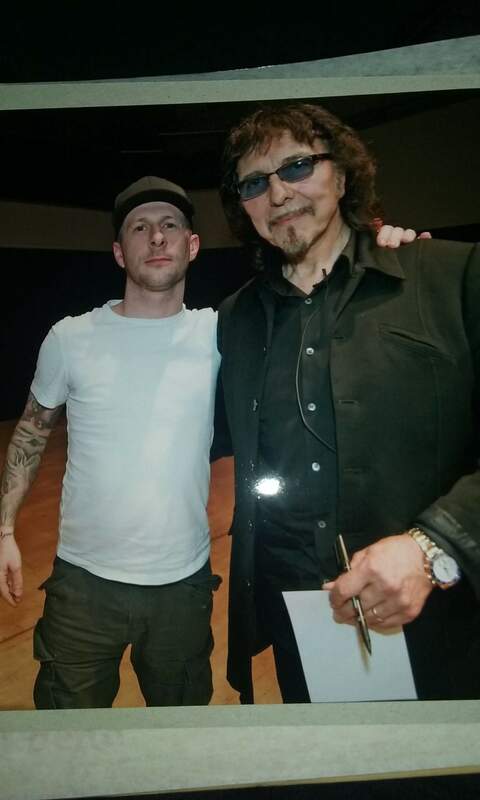 Not many people can say theyve shared a stage with Tony at a live event ! 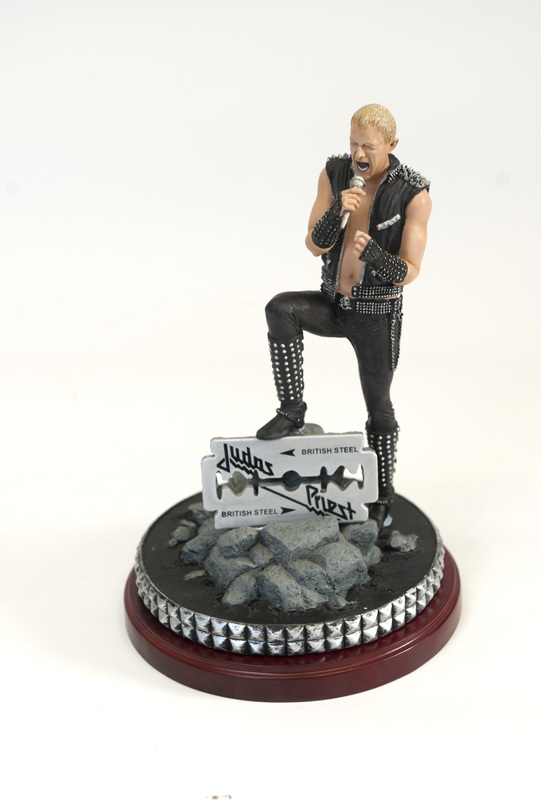 Rob Halford figurine (2007). 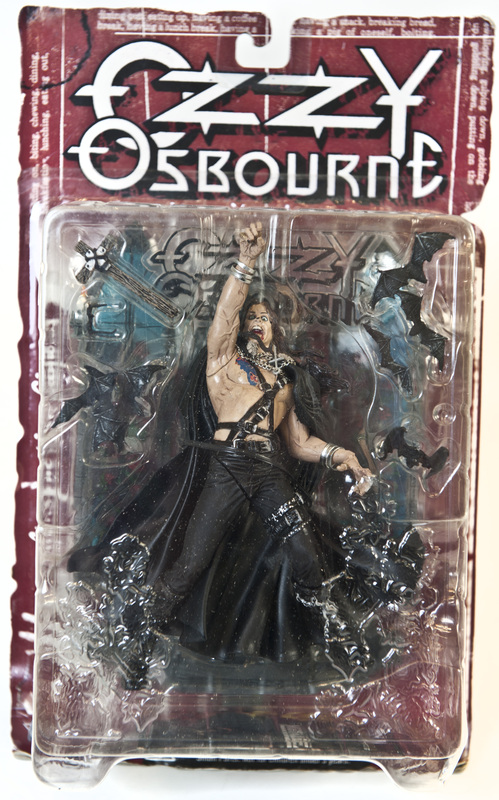 Limited to 3000. 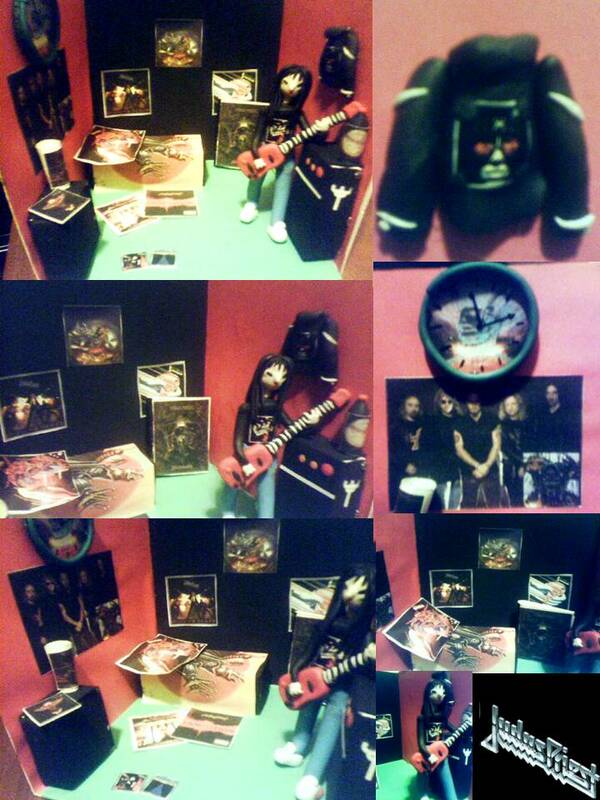 I made this modified Heaven & Hell artwork specifically to be presented to the band as gifts during backstage at London's wembley arena on 10/11/2007 , I was solely taken after their show to Iommi's & Geezer's private bus to present them these framed artworks while Ronnie James Dio was later so overwhelmed with the sarcastic artwork backstage that I was told he kept telling everyone about it for a whole week after ! 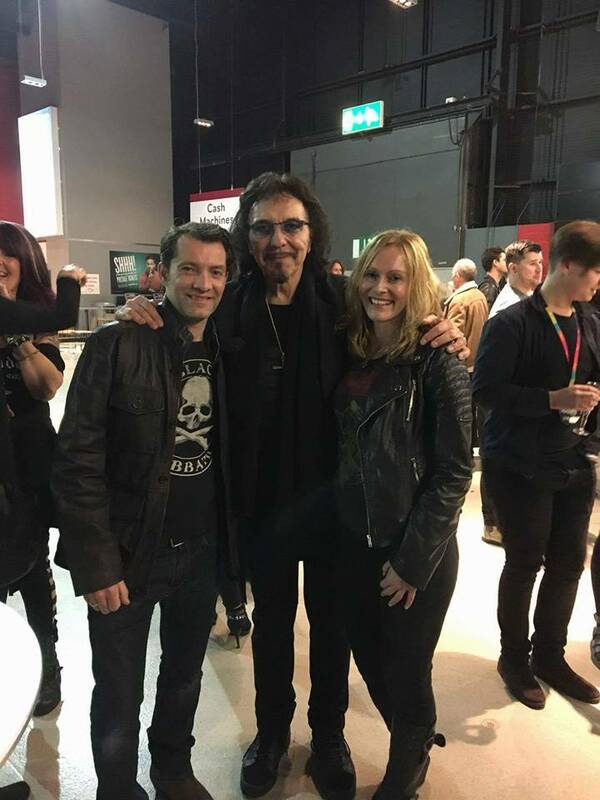 Ronnie couldn't help himself laughing at Iommi's smoking angel. 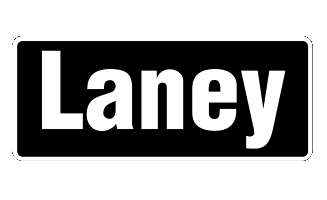 I remember on my many pilgramages to yaah dudes skate shops to pick up a set of screaming wheels or a new set of vans boot before hitting Birmingham wheels skate park Shane would be in the shop. 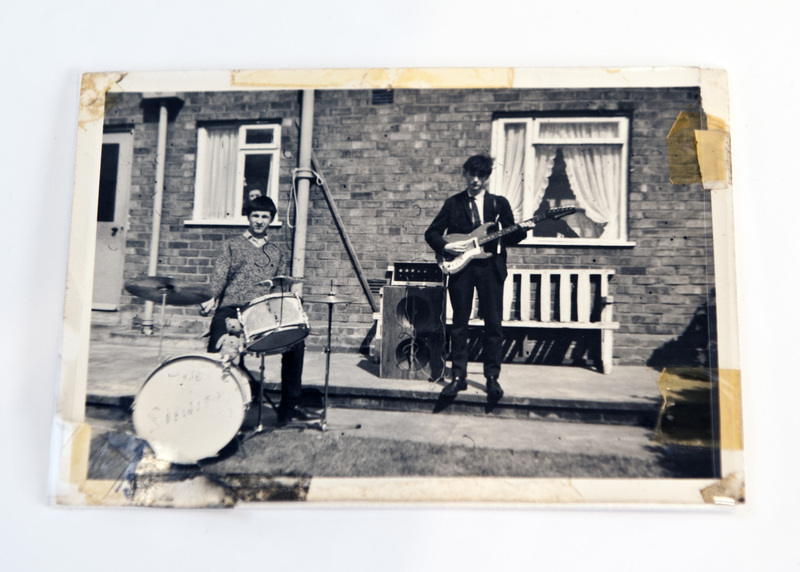 It was a few years later I would recognise him again again thrashin the bass in the institute with Barney as nalpalm death. 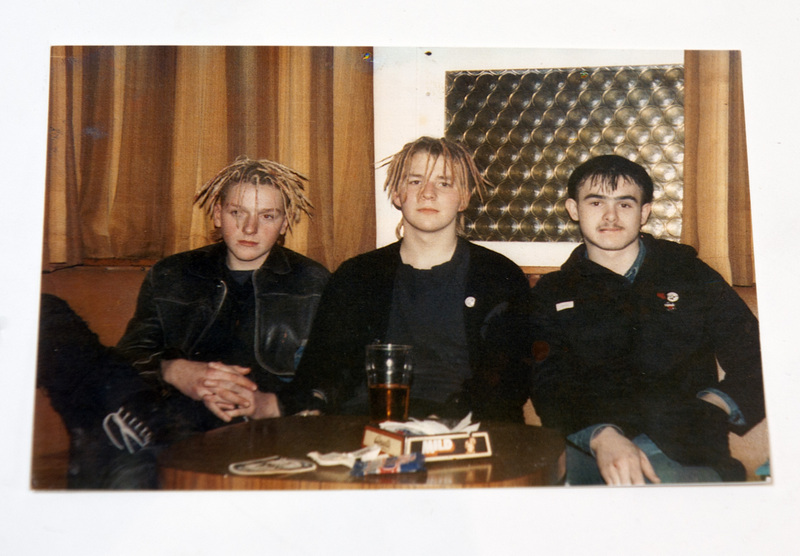 These guys are true legends. 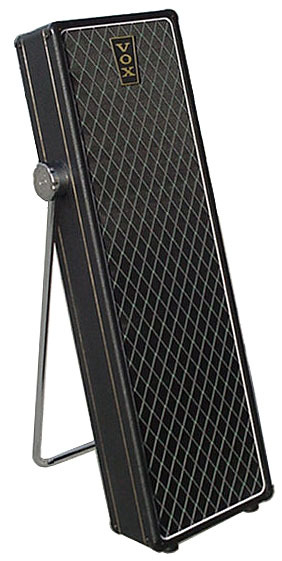 Never did find out if Barney did skate? 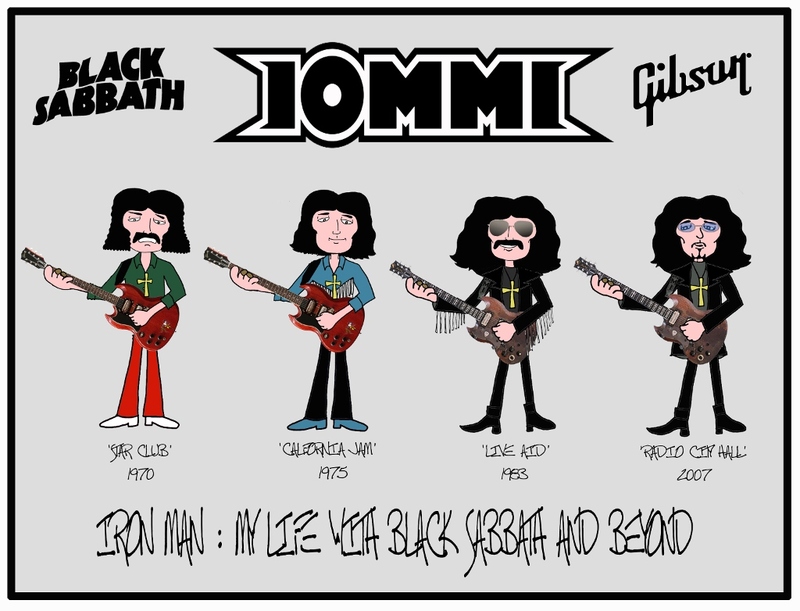 I made this artwork in 2011 celebrating Iommi's forthcoming autobiography book entitled 'Iron man : My Life with Black Sabbath & Beyond'. 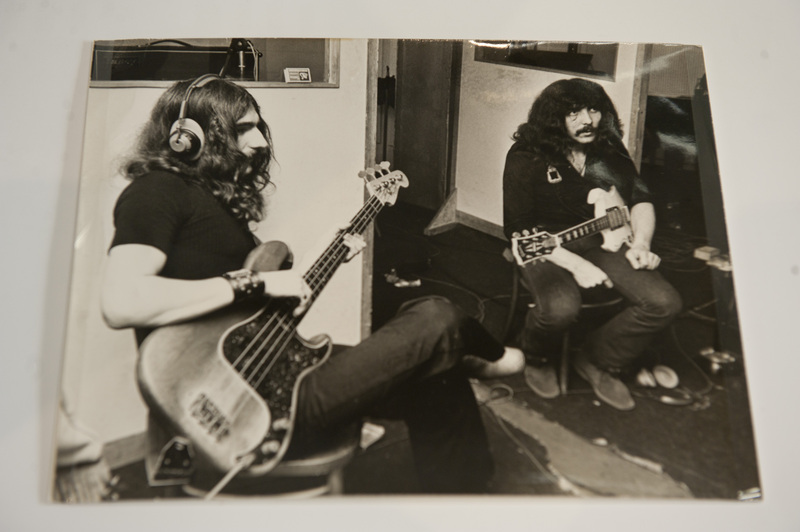 The artwork simply presents Iommi's through different eras and decades with Sabbath , he is shown in the early days with his famous Gibson 'Monkey' SG , while the later years shown with his Jaydee 'Old Boy' custom guitar. 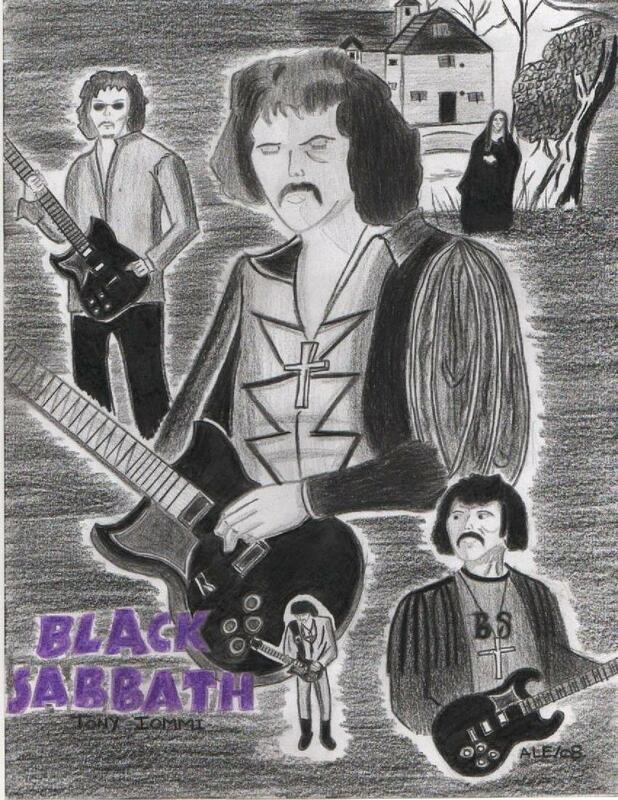 If a high quality resolution of this artwork needed to any 'Home of Metal' project I will be more than pleased to send it over. 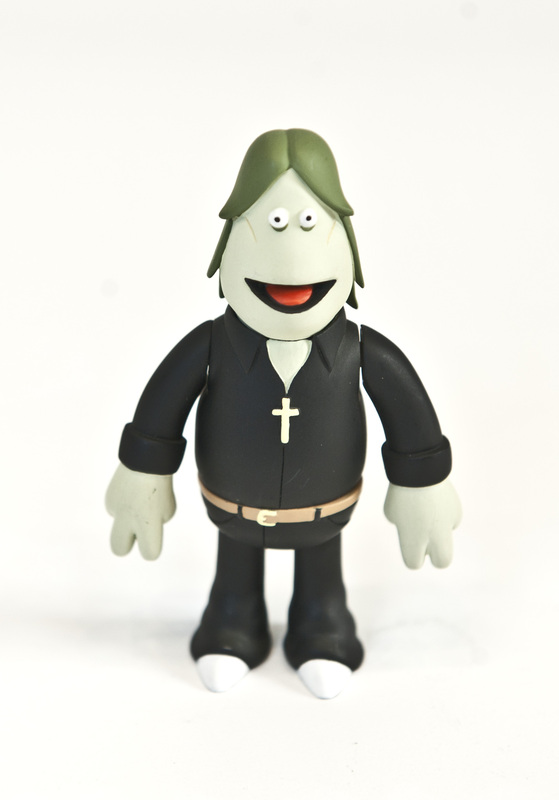 ‘John’ doll inspired by 1969/1970 era Ozzy Osbourne. 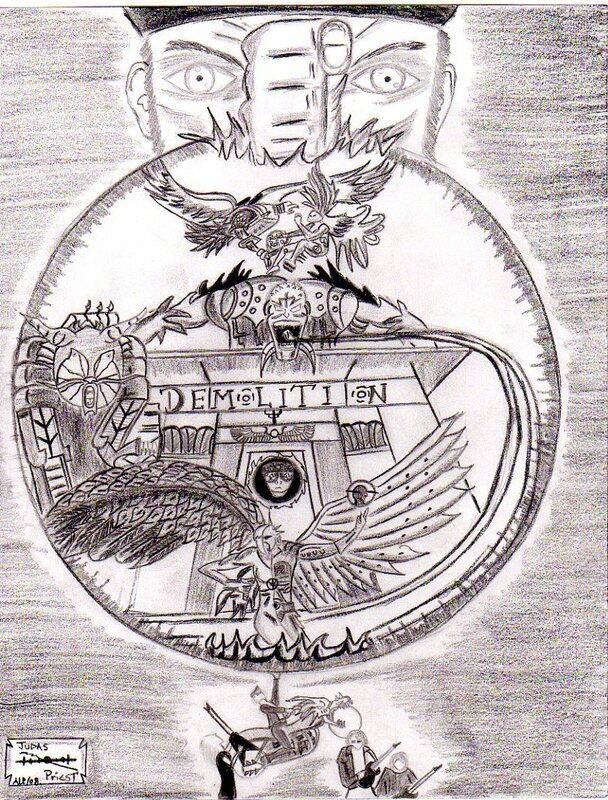 I made this artwork for Geezer as his Christmas gift in 2010 , it was posted on his official website for a brief time along with one of his personal pictures cheering Aston Villa after The Carling cup final in 2010 and which Aston Villa lost to Manchester United 0-1. 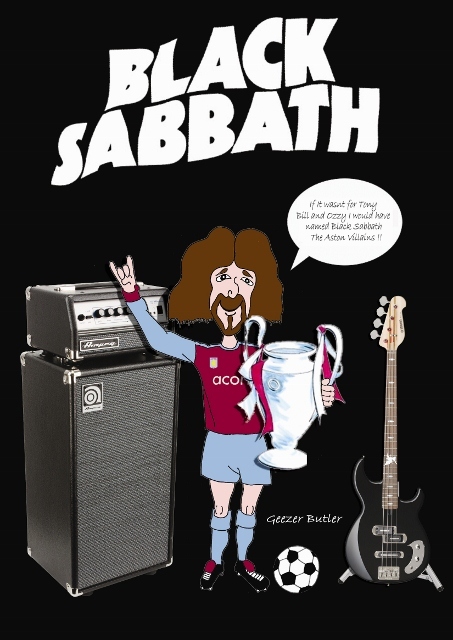 It jokingly has Geezer saying 'If It wasn't for booze, women and Black Sabbath, I would have been a player in Aston Villa.' ! 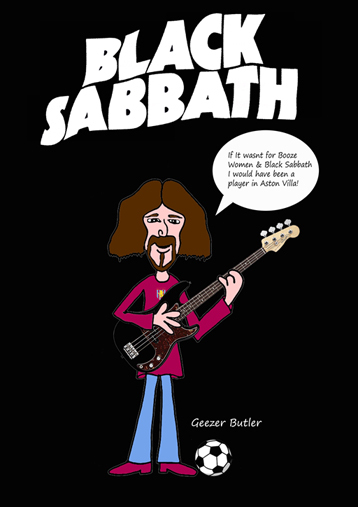 I created this artwork for Geezer Butler and had it printed out on a custom shirt as a special gift for my all time bass hero in Christmas 2011 , obviously everyone knows how Geezer tends to be one of Aston Villa's biggest cheering fans , I jokingly had Geezer quoted " If it wasn't for Tony , Bill and Ozzy , I would have named Black Sabbath the Aston Villians !" 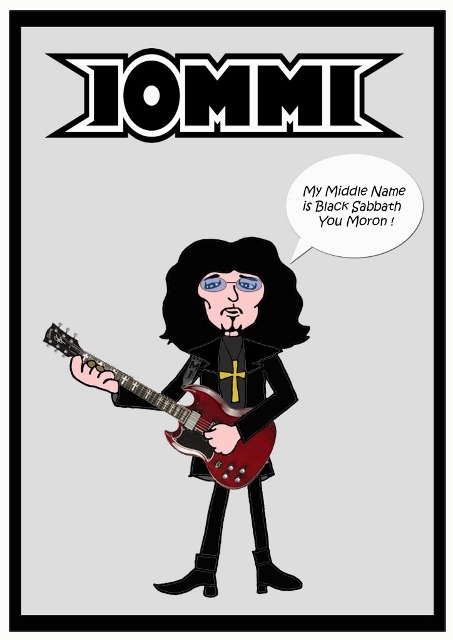 I added his Ampeg bass amp along with one of his new custom Yamaha bass guitars that I saw him use on Heaven & Hell's Ronnie James Dio tribute show at London's High Voltage festival on 24/07/2011. 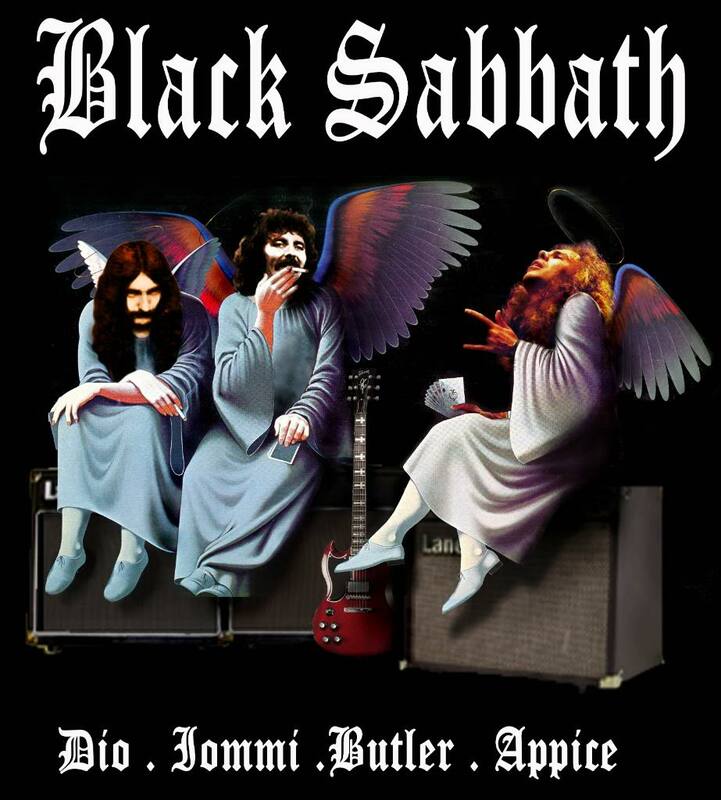 If a high quality resolution of this artwork needed to any 'Home of Metal' project I will be more than pleased to send it over. 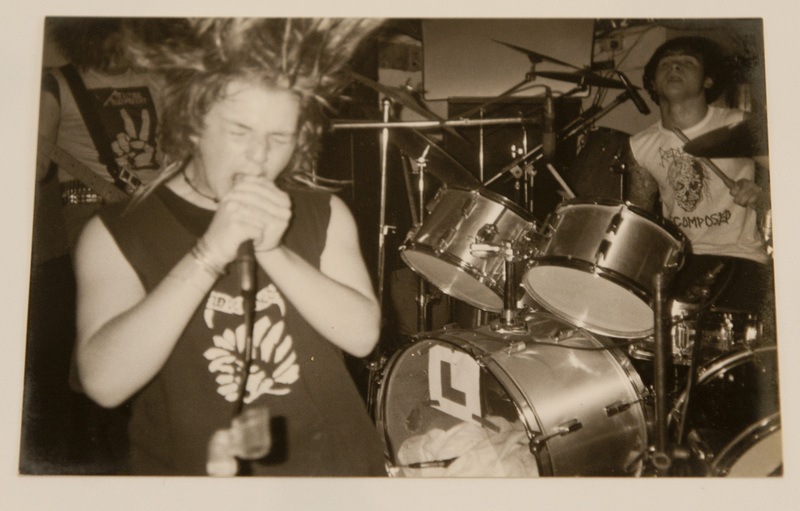 Photograph of Napalm Death (1985) at The Mermaid pub.